This is a one of many wiccan spells for money, found on the web. I found the chant and spell, but I don’t remember where, so if you know where this spell was found, please leave me a comment so I can give appropriate credit. Okay this is another simple money spell. I would suggest you do it on a Thursday, the night of the full moon if at all possible. The full moon is when our magickal energies are at some of there highest and it is always predictive of good results when doing magick based on the lunar cycles. I have not personally done this spell, but please try it and leave a comment below telling me how it worked for you. 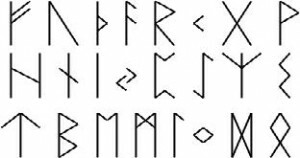 Magick is a wonder and powerful thing, you might want to read up on Magick Runes and include a Runescript into your magickal working. Concentrate on your abundance. Search deep within yourself and visualize what you want. Feel as if you have it all right now, as you do this draw or trace the money symbol or rune on the largest money note/bill you have. Say thank you to the God/dess and know that it is already yours. Put the dollar bill in your wallet and resist spending the money as long as you can. Every time you see the bill visualize the rune and its meaning to enforce its power. This money spell uses visualization, and rune magick. You can find out more about the magick runes and about runescripts. This is a spell that is easily customizable. You can write the number 8 on a slip of paper and also insert it into your wallet. You can light a green candle when doing the magickal working as an additional correspondence. It is a simple spell, but really effective!